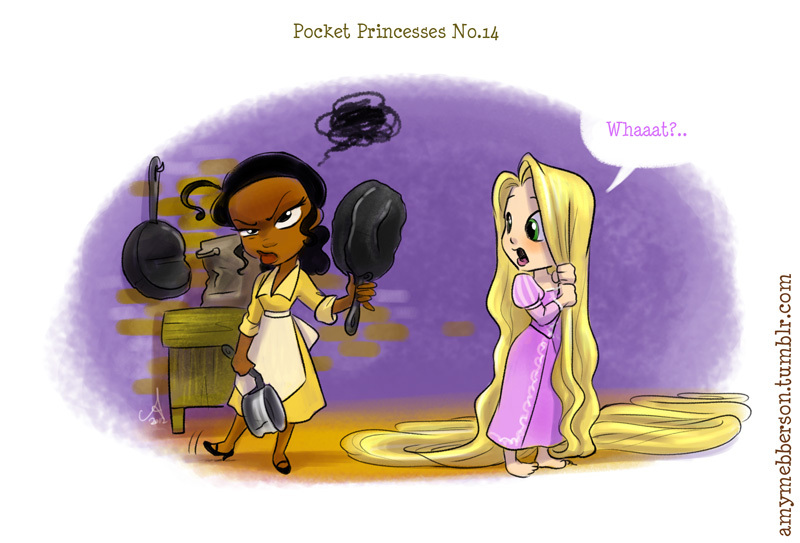 I have a special place in my heart for most things Disney, especially Disney Princesses. Combining theprincesses with adorable is a sure way to make me emit a high-pitched squee of delight. No, really. I hit a tone that probably only dogs can hear. Anyways. 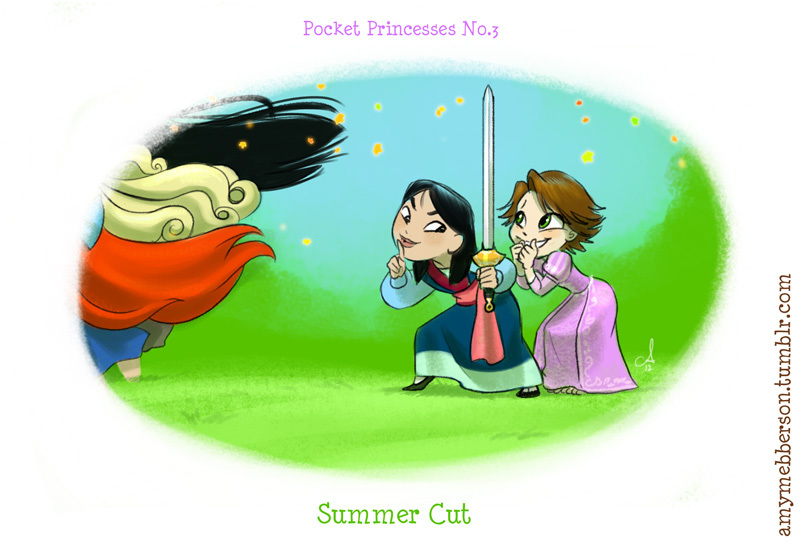 Amy Mebberson Pocket Princesses make me squee on a regular basis. The cute comics feature chibi-style Disney Princesses talking about things you'd expect: a lack of shoes, hair, bears, horse-riding, and tea. They feature everyone from Merida to Ariel to Mulan, and I think they'll make you happy. I can almost guarantee they'll at least make you crack a smile. 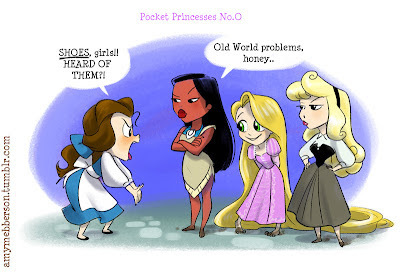 Mebberson has many more Pocket Princess strips; read them here! 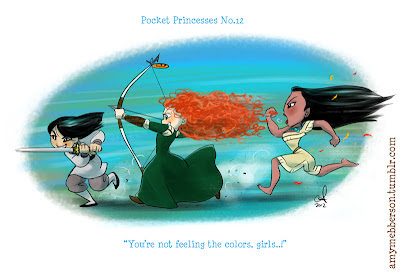 She'll also be set up at San Diego Comic-Con with a Pocket Princesses surprise. She's at DD11. I also highly recommend her commissions. If you're thinking about getting one, just make sure to get on her list early.